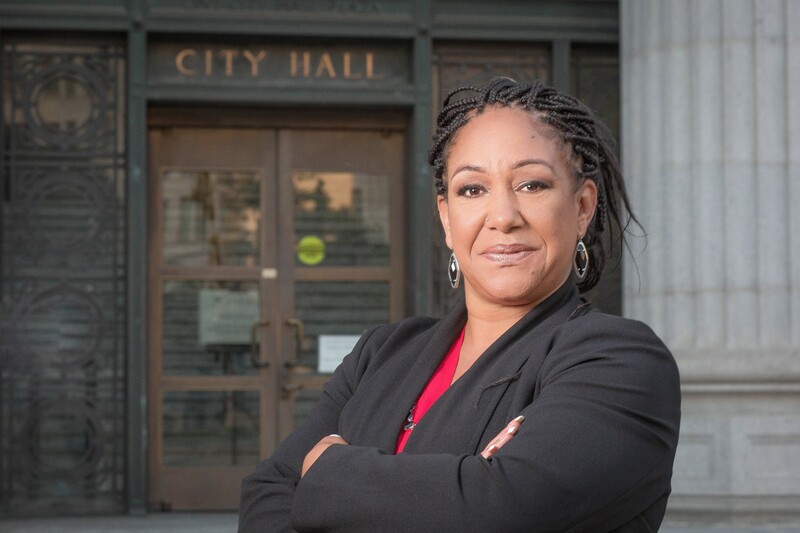 She is a longtime community activist and organizer, has run organizations as an executive director, and is deeply committed to serving the people of Oakland. Oakland is a city with a population that is engaged, diverse, and active, and shares many progressive values. We are facing real challenges, from affordable housing and our worsening homeless crisis to the lack of police oversight and trash on our streets. Oaklanders need an administration that treats people with respect and provides for basic public needs. In this election, we have an opportunity to vote for dedicated leadership to protect the needs of all of Oakland’s communities. In ranked choice voting, each of us gets to list our first-, second-, and third-choice candidates. If no one wins a majority of first-choice votes, then our second-choice (and possibly, third-choice) votes will determine the winner. We need a mayor who is deeply committed to the well-being of the people of Oakland, who will hire and retain good people, make sure basic steps are taken, like pro-active dumping prevention and removal, stopping displacement, providing public land for affordable housing, and making sure none of our communities is left behind in providing public services. That is why I am voting #1 for Cat Brooks for mayor of Oakland. Brooks is a longtime community activist and organizer, has run organizations as an executive director, and is deeply committed to serving the people of Oakland. She has shined in this campaign, speaking with depth and thoughtfulness at candidate forums, and releasing a video that shows her history and her heart for the people. It’s the most powerful campaign video I’ve ever seen. Brooks has a long track record of experience working in some of the areas in which Oakland most needs improvement — including police accountability and providing effective and compassionate solutions to the rising displacement and homelessness crisis. We can have leadership that respects and supports the independence of the police commission, and which makes sure funding for renter assistance and displacement prevention is timely provided. Her campaign has also mobilized hundreds of volunteers and included extensive community engagement, in the kind of grassroots participation that is important for our community and our democracy. Respected organizations, like the Wellstone Democratic Renewal Club and Democracy for America (DFA), have endorsed Cat Brooks for mayor. Lift your voice, your vote, and our opportunity to strengthen and heal our community. Rebecca Kaplan is the Oakland City Council At-Large member.